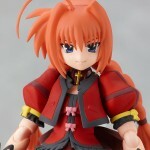 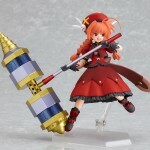 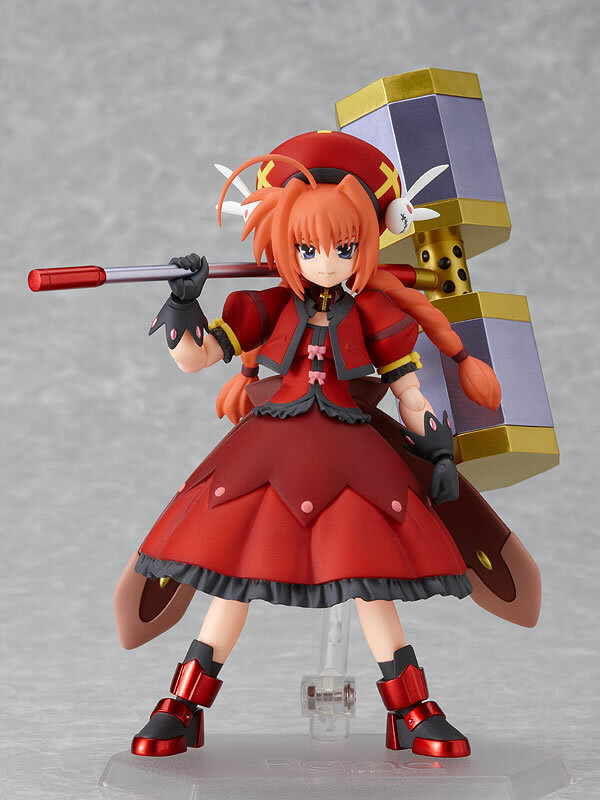 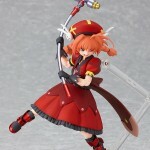 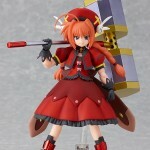 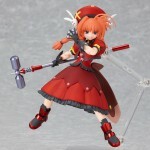 From Magical Girl Lyrical Nanoha StrikerS comes Vita, one of the knights in the Wolkenritter, to join the Figma collection. 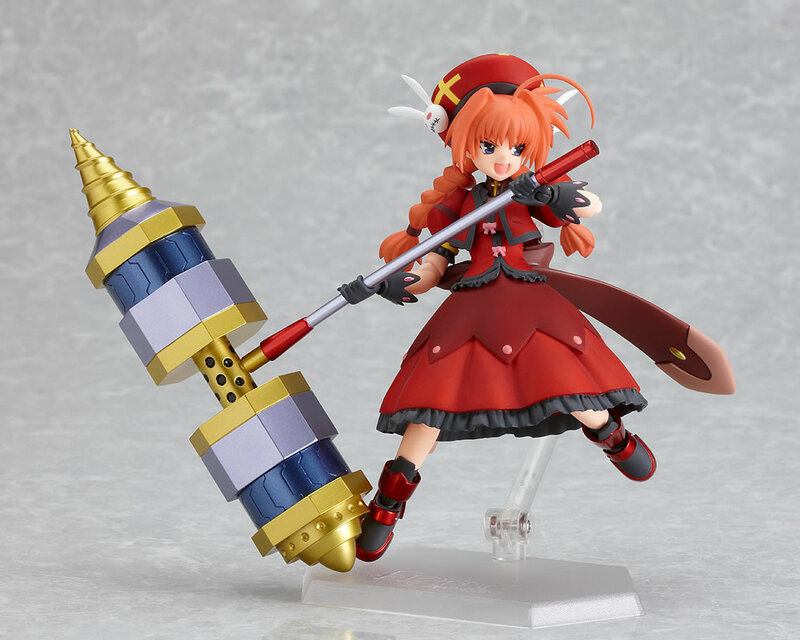 Her magical device “Graf Eisen” is included and can be switched into four different forms. 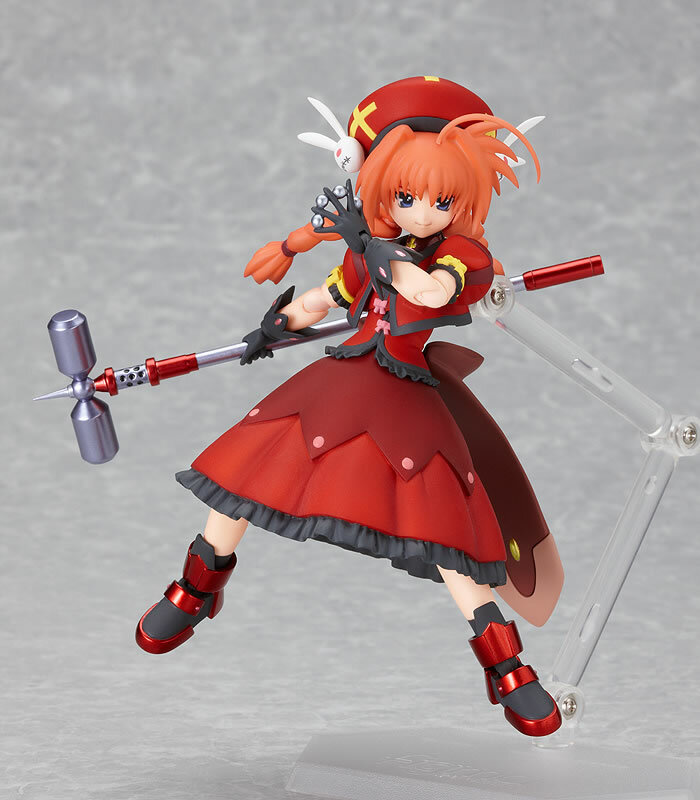 Hand parts to hold Graf Eisen as well as hands holding iron balls are included to recreate her popular attacking pose. 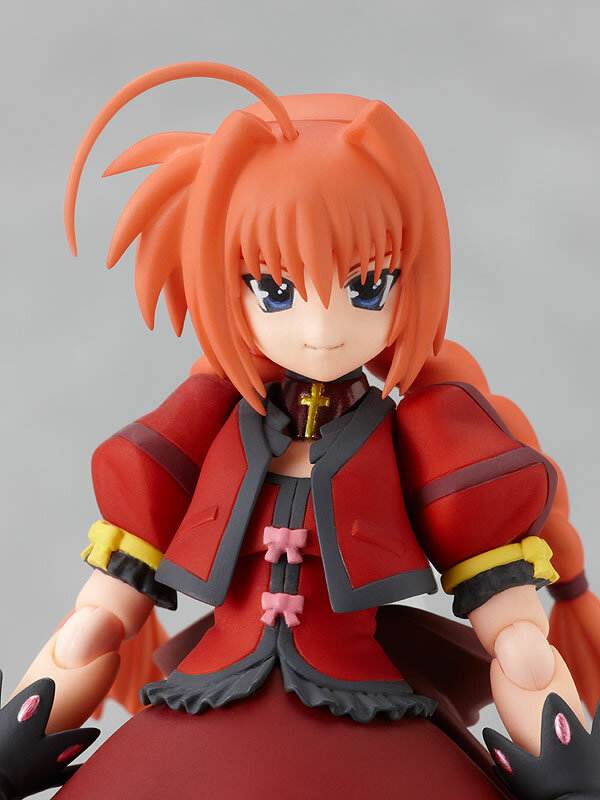 In addition to the normal facial expression, an angry face that appeared countless times in the anime is also included. 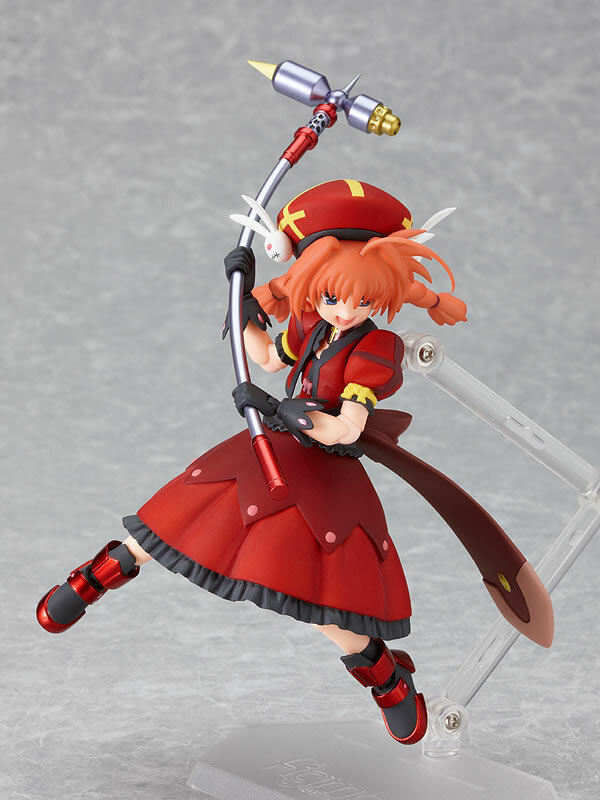 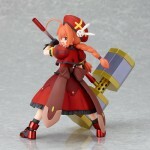 To view the new Figma images click the Title Bar.